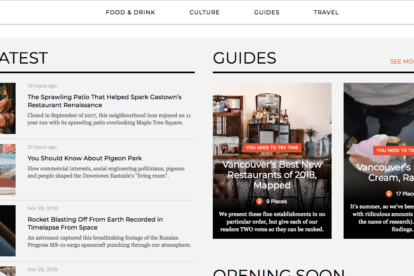 We selected the best independent Vancouver blogs for 2019. Find our local favorites here in alphabetical order! 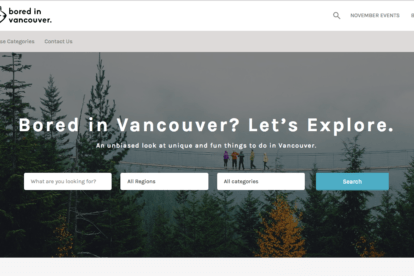 Bored In Vancouver is a great local blog about cool events and unusual as well as usual fun things to do in Vancouver. 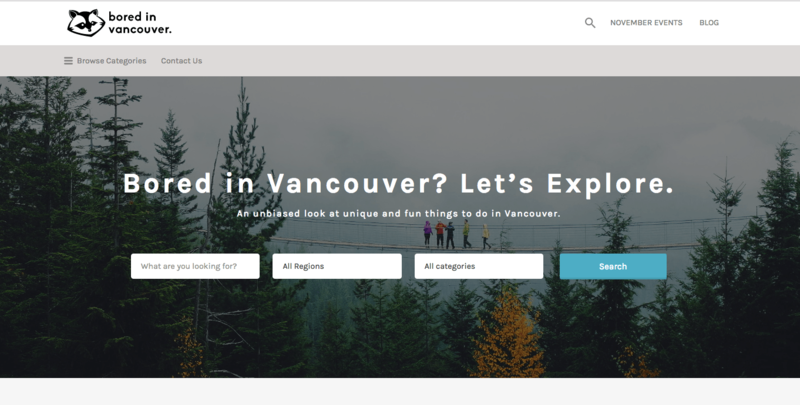 They describe themselves as: “the friend you’ve never met in Vancouver who knows about all the cool places and things to do. At least, that’s what we’d like to think!”. 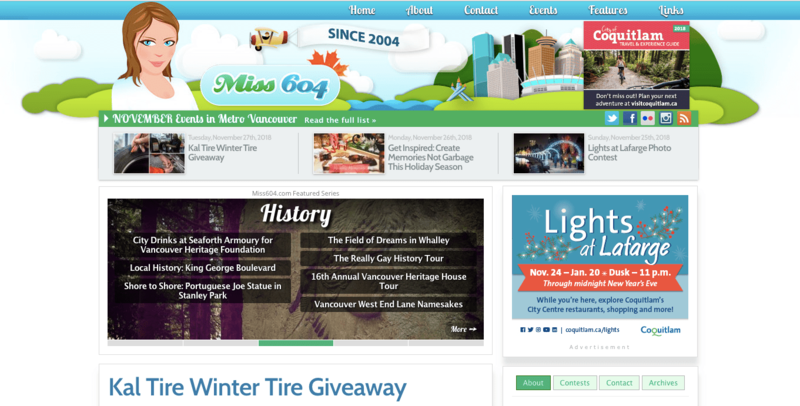 Miss 604 has been around for almost 15 years now and is all about events in Vancouver. 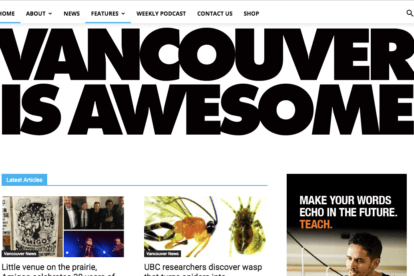 Local Rebecca Bollwitt, an experienced blogger, writes about events happening in Vancouver and many more things to do with life in the city. 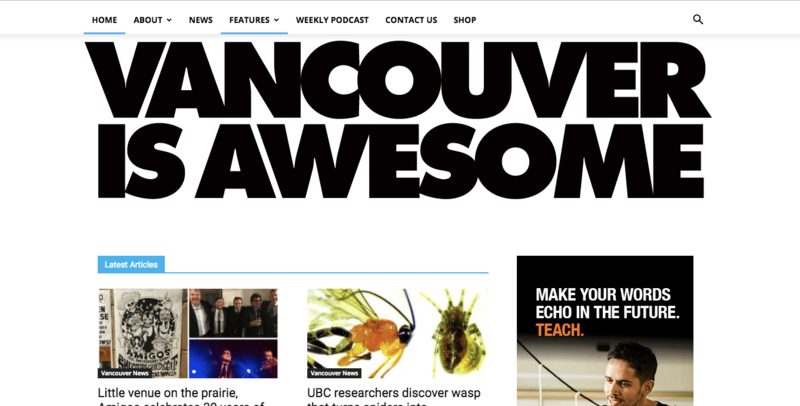 Started in 2008 by local writers/photographers Andrew Morrison and Michelle Sproule, Scout Magazine is another cool blog from Vancouver with lots of great content. 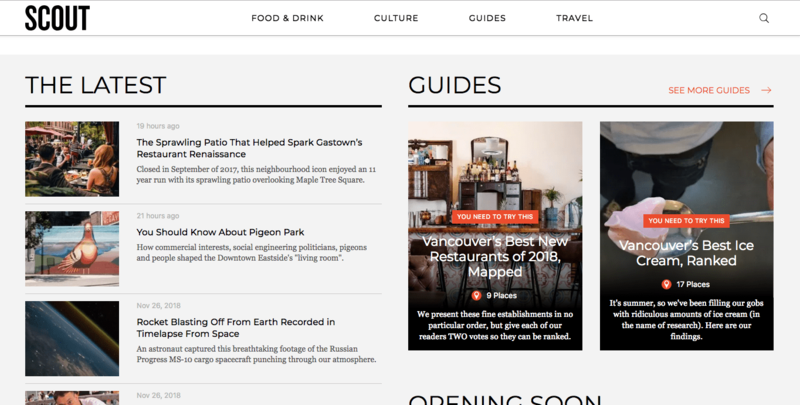 Their stated objective is to introduce their readers to: “the people who grow and cook our food, play the raddest tunes in our better venues, create our most interesting art, and design everything from what we wear to the spaces we inhabit”. 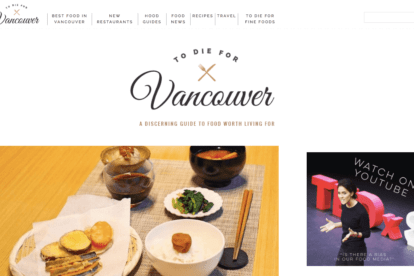 The Vancouver foodie blog! 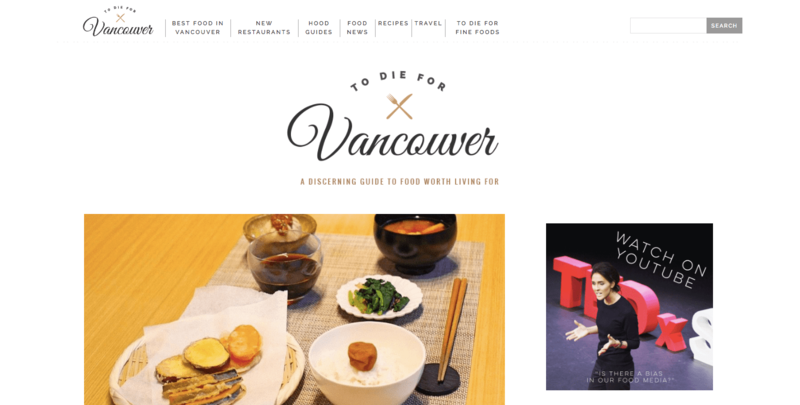 To Die For Vancouver has a great design, is up to date, and answers a lot of questions regarding food in Vancouver. 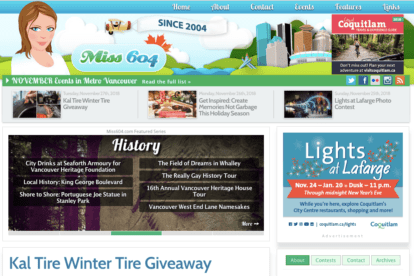 They also offer news, guides, recipes and many more. Our favorite section…Gourmet getaways!